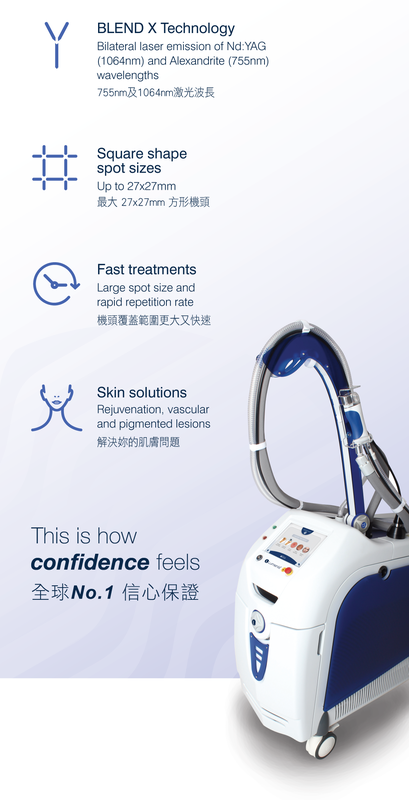 World first solid state laser system equipped with advanced simultaneous dual wavelengths emission.Revolutionary aesthetic workstation for hair removal and skin treatments. 詳情可向店員查詢。Offer is subject to Terms and Conditions. 以上所載內容,為廠方提供之資料及圖片。只供參考,並非保証,效果須視乎客人膚質而定。Photo images are for reference only.